Filipino boxer Arthur Villanueva of ALA Promotions faces Juan Jimenez of Mexico in a 10-round non-title fight on May 28, 2016 at University of St. La Salle Coliseum, Bacolod City, Negros Occidental. Villanueva from Bacolod has an impressive record of 28 wins including 14 victories by way KO with only 1 defeat. 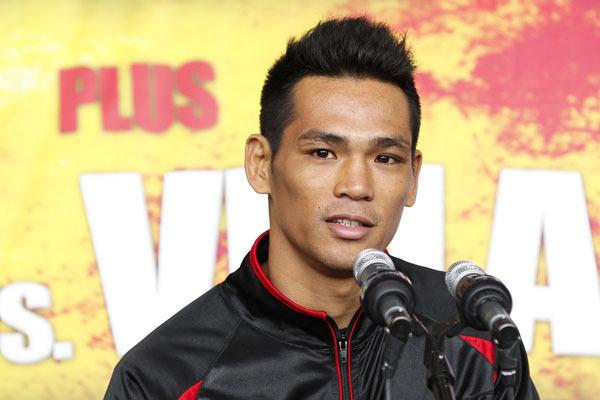 He is a 27 years old fighter and currently ranked no. 17 in the super flyweight division. Villanueva had his chance for the vacant IBF World super flyweight title against McJoe Arroyo but loses via highly controversial technical decision. After that, Villanueva came back and won his last fight against Victor Mendez of Mexico last year. On the other hand, Juan Jimenez is a 24 years old boxer from Chihuahua, Mexico with the record of 22 wins including 15 wins by way of KO and has 9 defeats. This will be a top match for the Mexican warrior but he promises to bring home the victory. Jimenez won his last 3 fights all by way of KO. Donnie Nietes and Milan Melindo will also see in this card and it will be telecast late via ABS-CBN channel 2 on May 29, 2016 at 10:15 am.